Unfortunately, the AlcoHawk Precision Breathalyzer is no longer available. You can explore other items in the Breathalyzer category yourself to try and find the perfect replacement for you! The AlcoHAWK Precision has also been upgraded with new technologies to improve it's breath capture accuracy making this model ideal for no tolerance screening. Meets DOT/NHTSA model specifications for Breath Alcohol Screeners. Has obtained FDA 510K Premarket Clearance. What is the difference between the AlcoMate Prestige and AlcoHawk Precision model? The AlcoMate Prestige and AlcoHawk Precision are very similar devices except two key differences. The AlcoMate Prestige has the ability to change the sensor yourself, while the Elite must be sent in for calibration. The Prestige also has an updated sensor and software to provide a more accurate test result. Under ideal testing conditions, the AlcoHawk Precision should perform roughly 200 tests before needing a breathalyzer calibration service. Continuous testing with higher amounts of alcohol may potentially wear out the sensor faster. 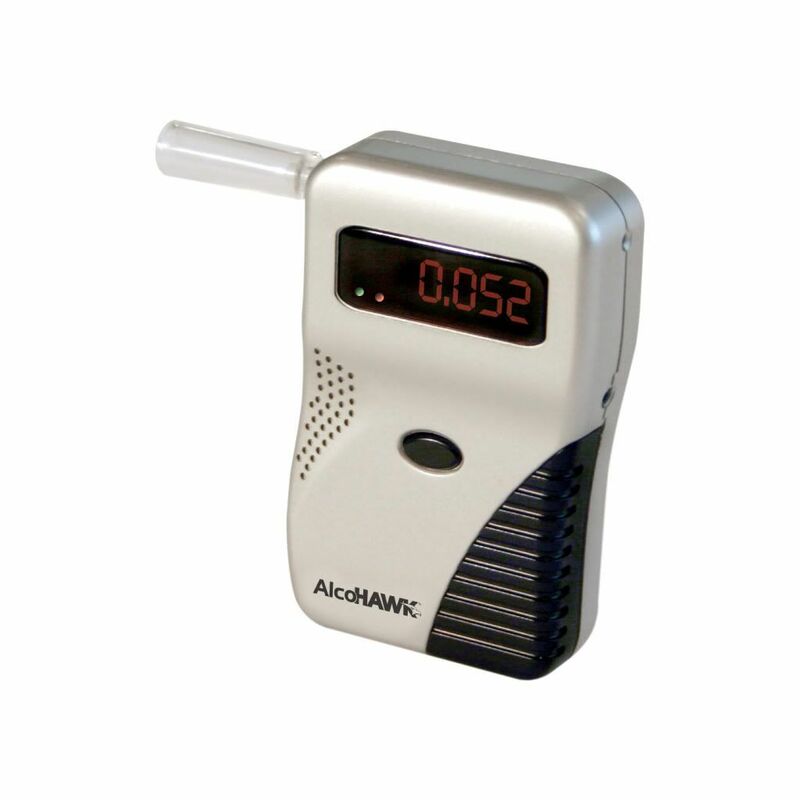 The AlcoHawk Precision like any other breathalyzer will experience a degradation of sensor accuracy over time. For any questions, please contact us at 1-818-701-9200.